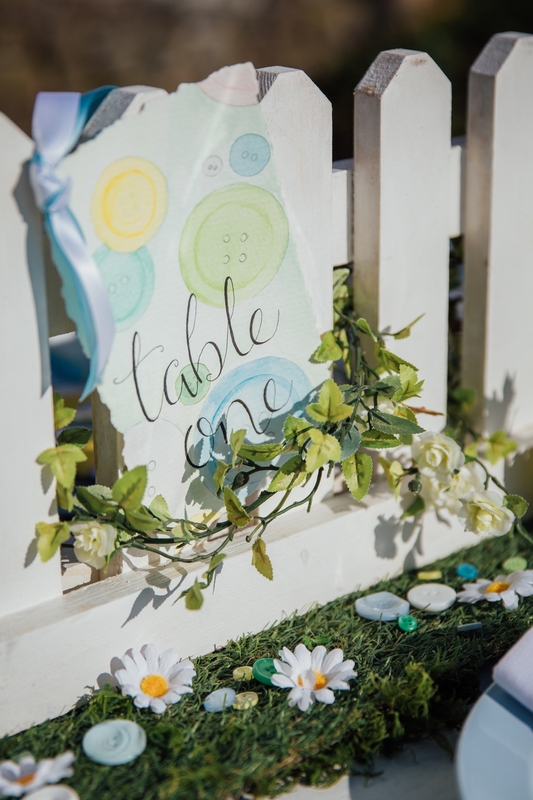 With a fresh palette of pale yellow, powder blue, crisp white and garden green, this styled shoot is a celebration of the prettiness of the spring. 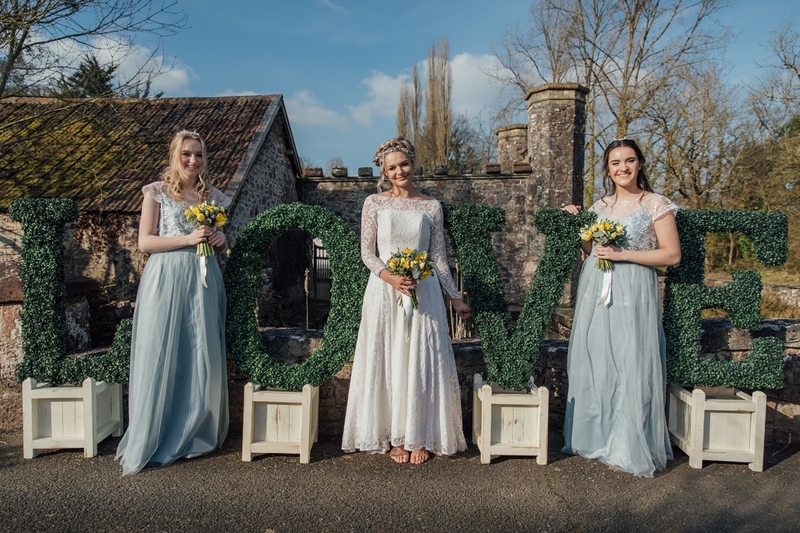 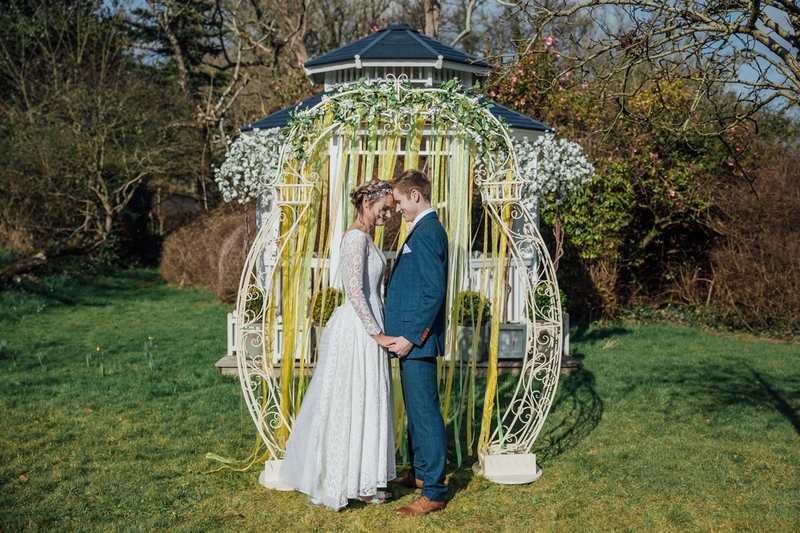 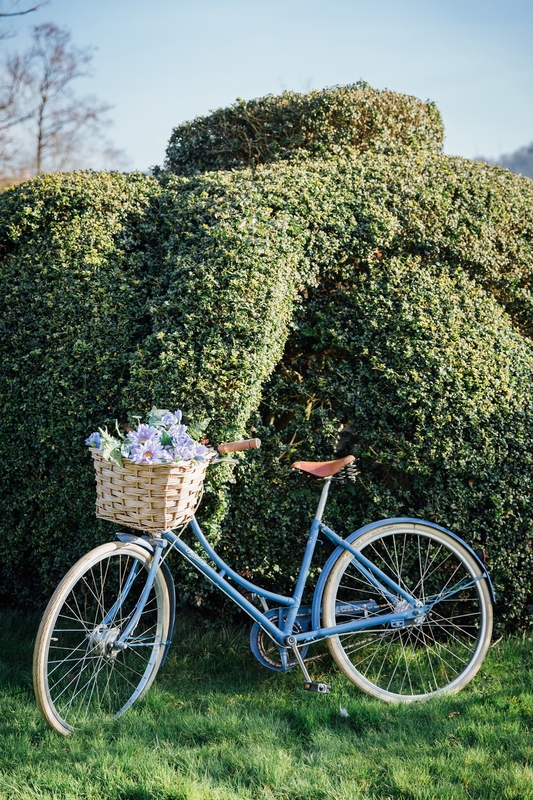 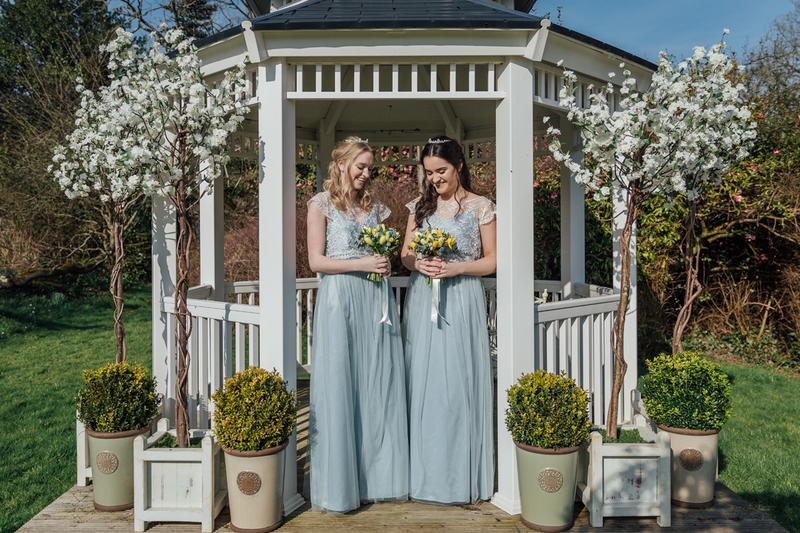 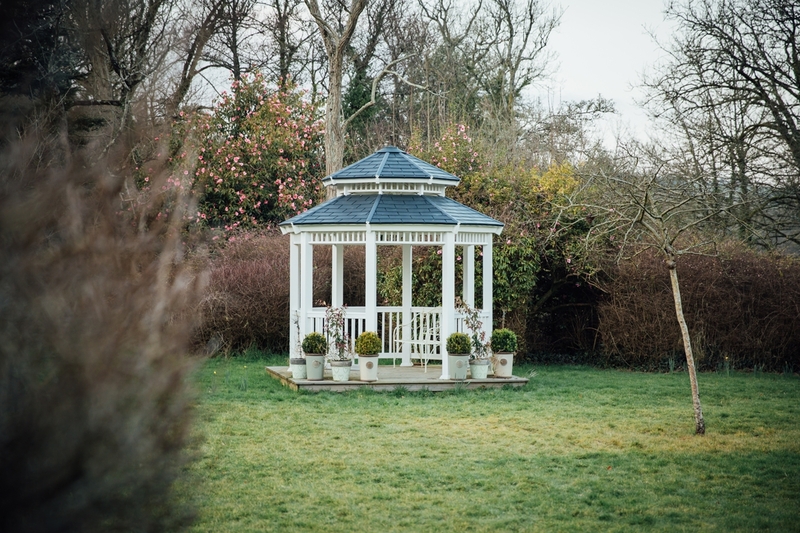 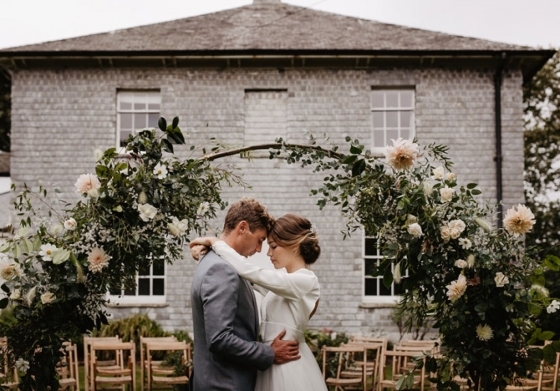 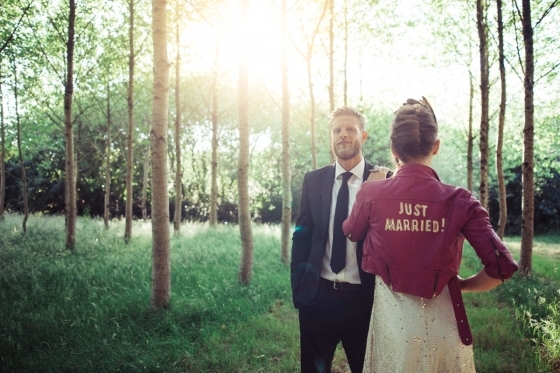 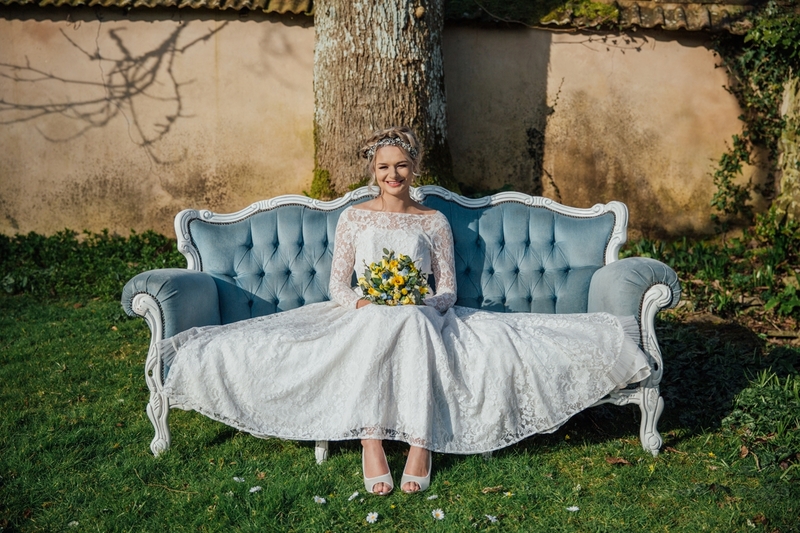 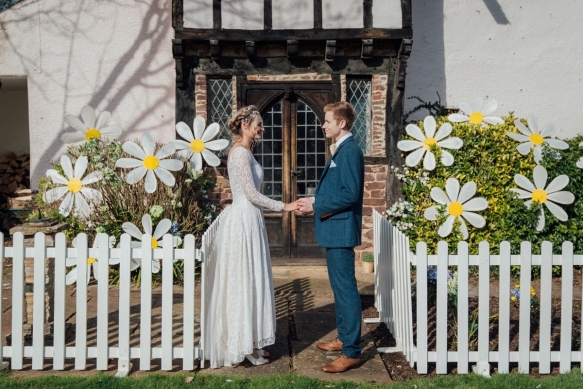 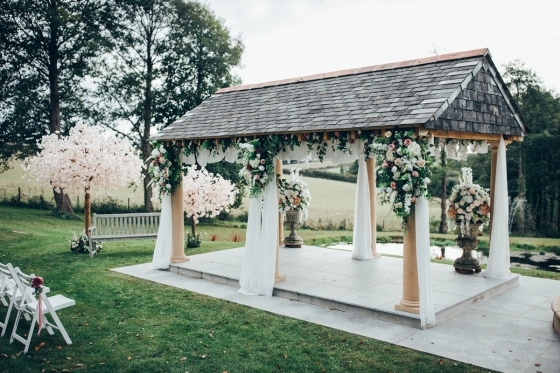 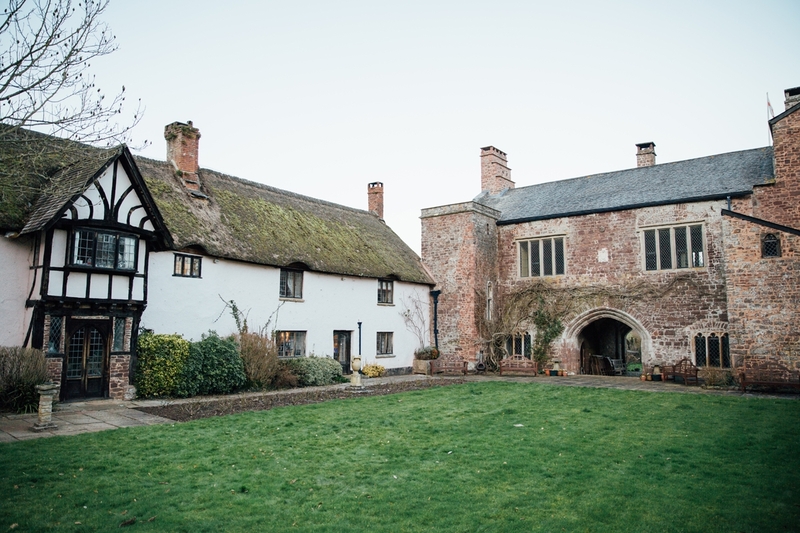 Set amidst acres of scenic Devon countryside, the grounds of Bickleigh Castle evoke a fairytale atmosphere, where blue bicycles lean against trimmed hedges, oversized flowers bloom behind picket fences and velvet sofas bring a touch of luxe to a backdrop of lush lawns and lofty trees. 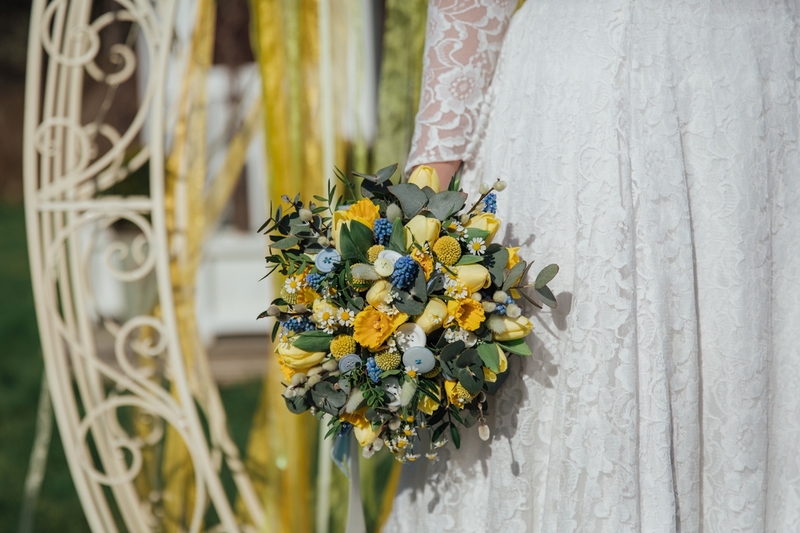 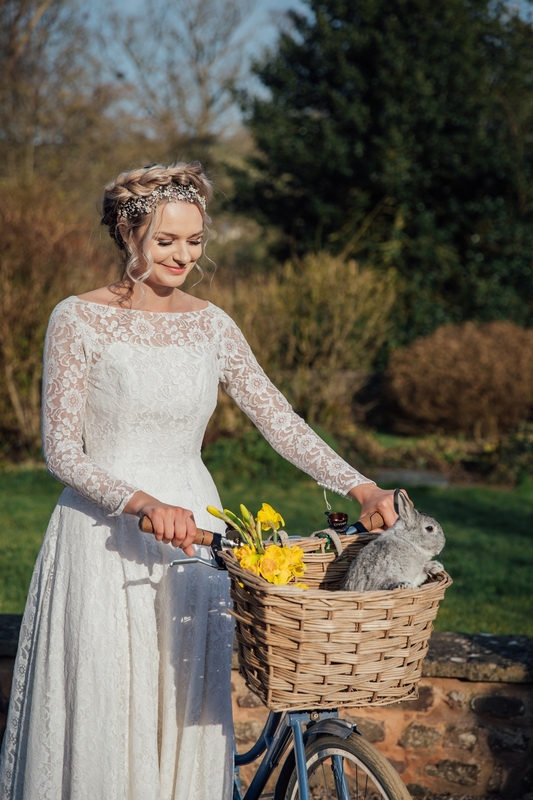 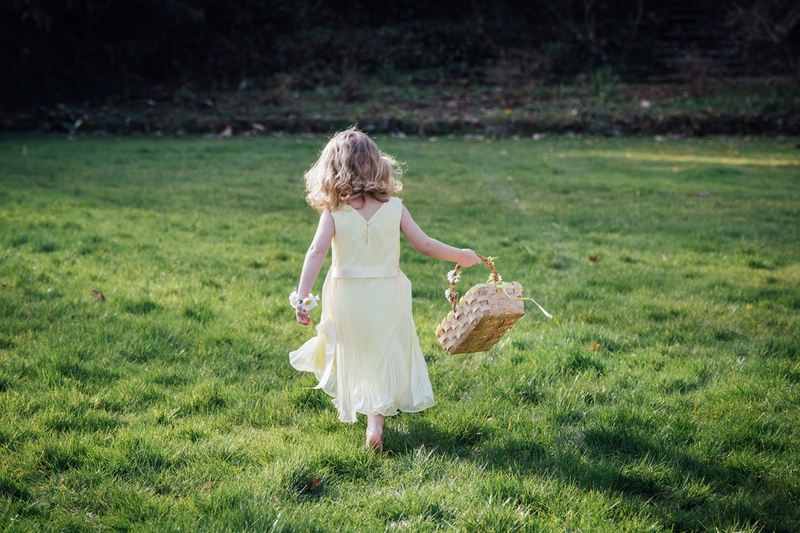 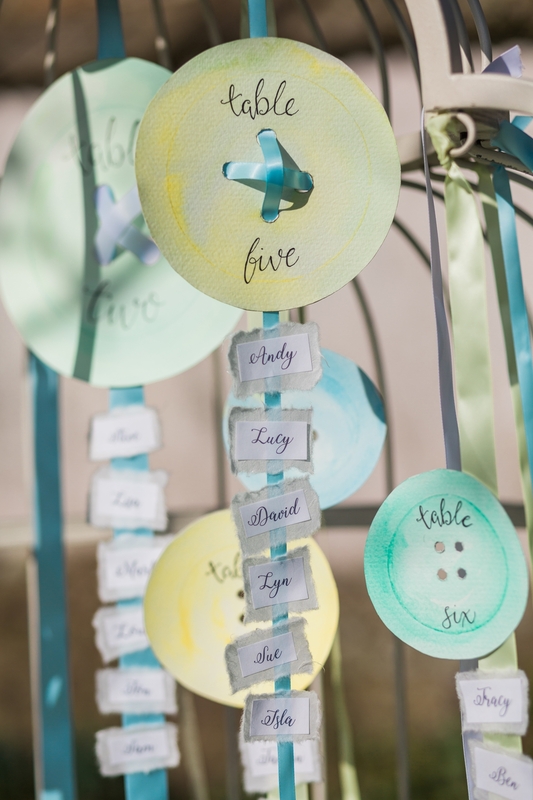 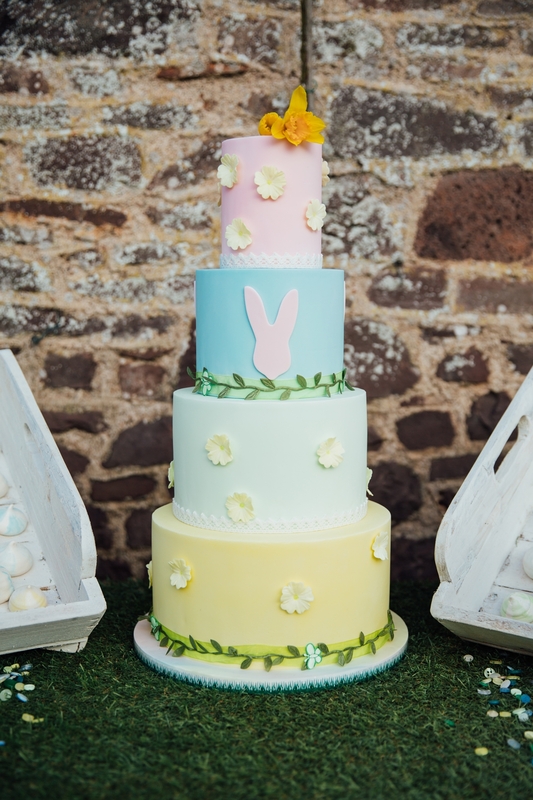 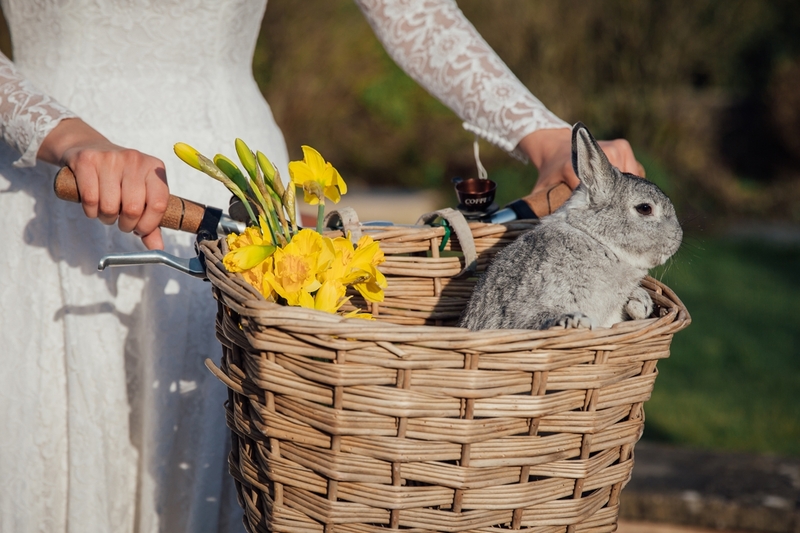 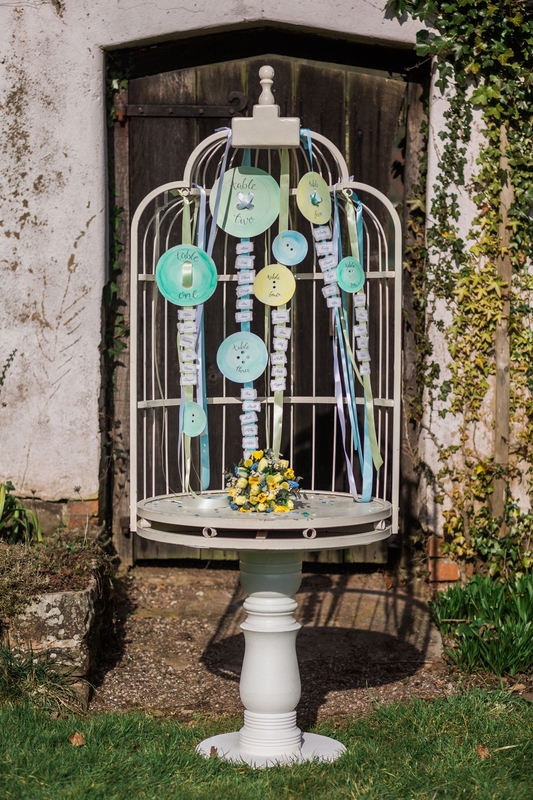 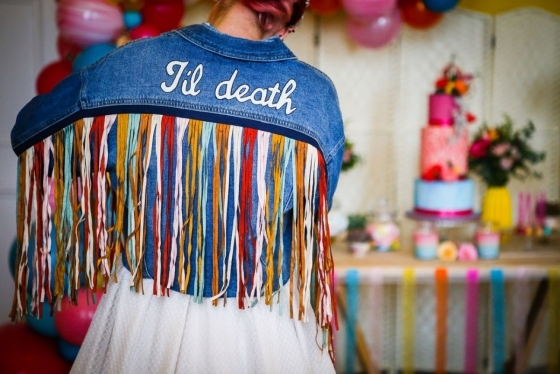 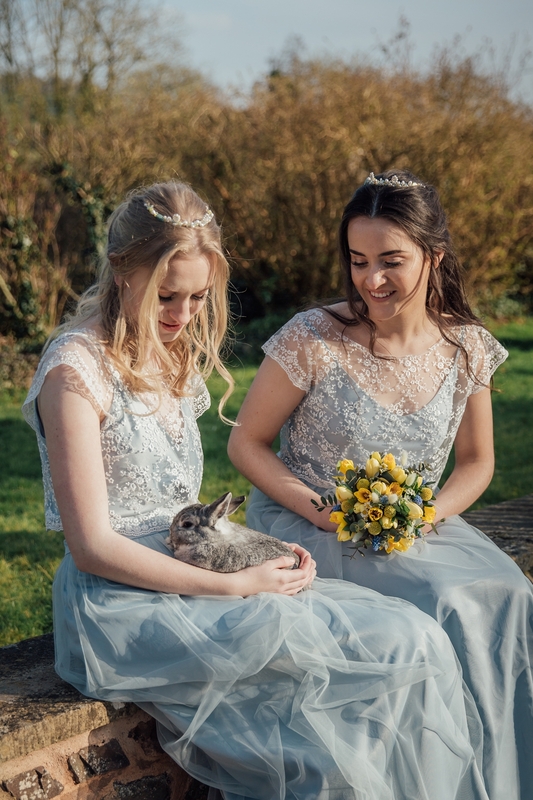 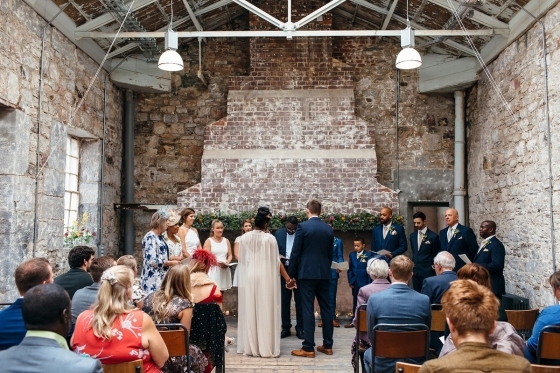 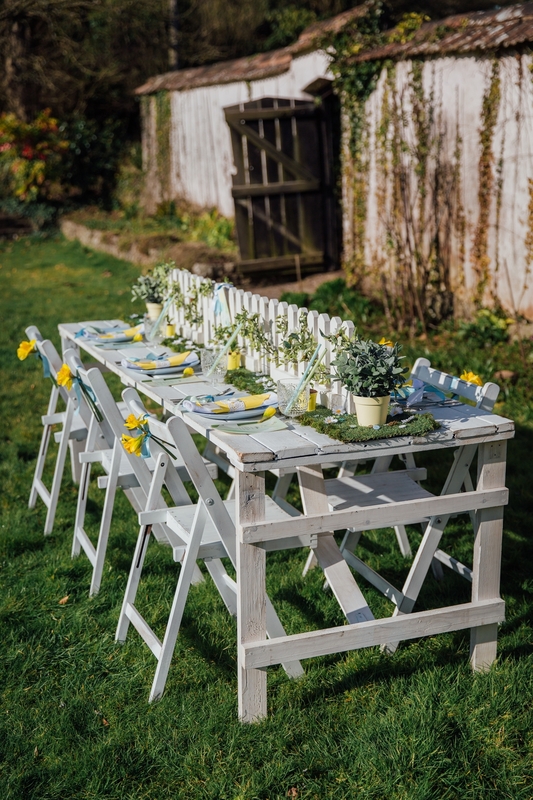 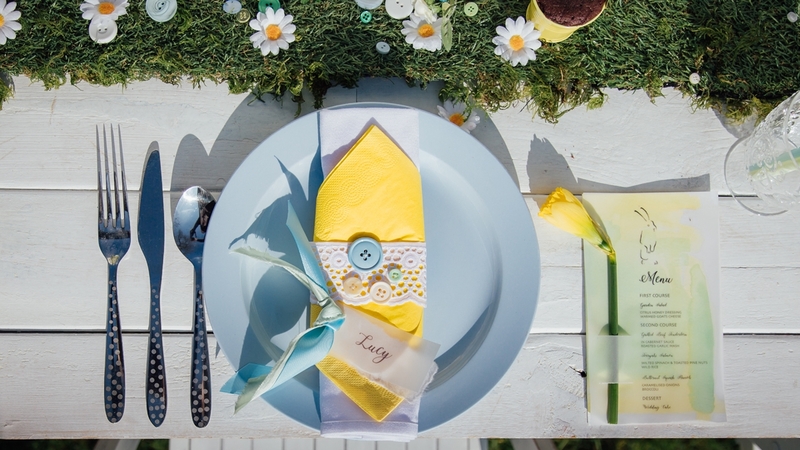 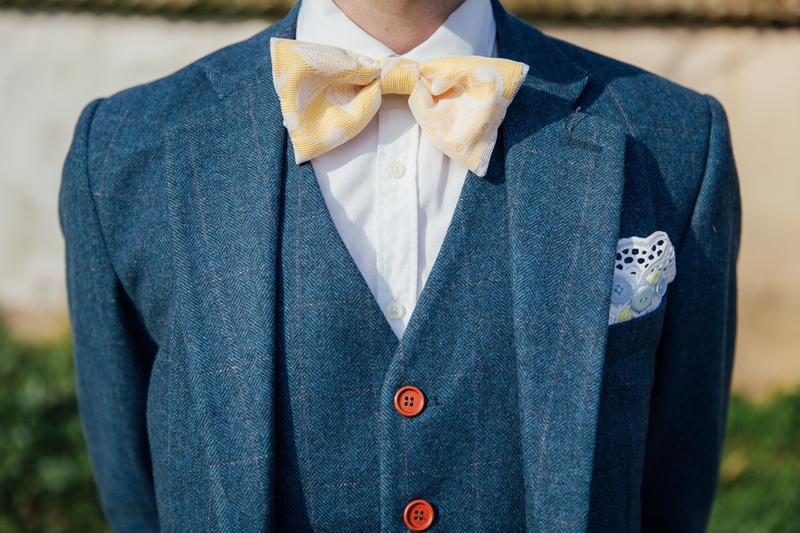 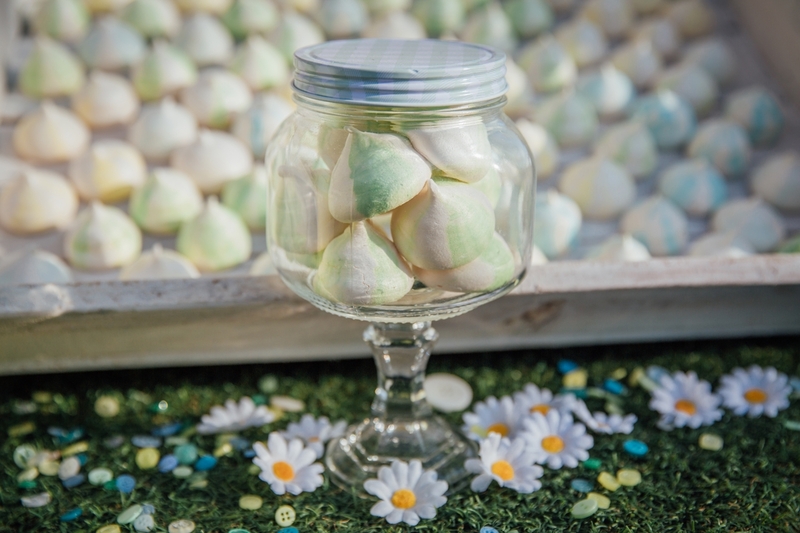 Beyond the pretty palette, the beauty of a spring wedding lies in details such as buttons, daisies and daffodils in full bloom, and even sweet grey bunnies. 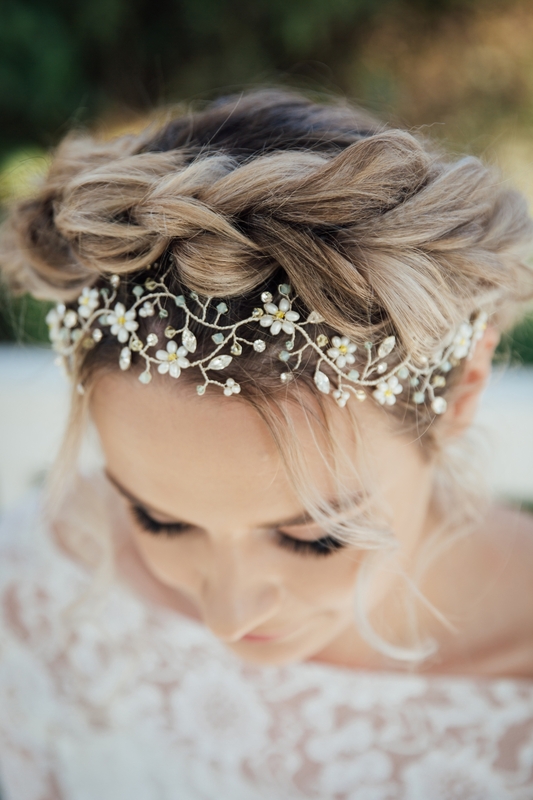 Alongside the bridal make-up, focusing on soft smoky eyes and muted lips, the loose braided updo and a delicate headpiece, the vintage lace of the bridal gown and gentle tulle of the bridesmaids’ dresses allow the natural prettiness and fresh background colours to shine through, setting the scene for the most gorgeous garden party wedding.